Highlighting the rising tension following a recent deadly attack on a village in Burundi that left 26 civilians dead, UN Human Rights Chief Zeid Ra’ad al Hussein expressed concern about a possible upsurge in violence during the run-up to Thursday’s controversial constitutional referendum. 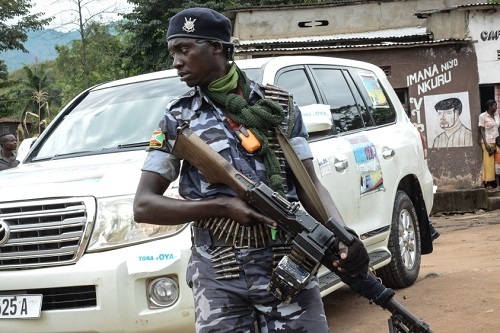 Ten women and 11 children were among the victims of the attack by unidentified armed men on the village of Ruhamagara, in Cibitoke Province, some 60 kilometres north-west of Burundi’s capital Bujumbura at around 22:00 hours last Friday. Zeid took note of the authorities’ announcement that they are launching an investigation and urged them to ensure it is transparent and credible. He also expressed his condolences to the families of the victims of Friday’s attack on Ruhamagara. “Because of the constant stream of violations over the past three years, and this extremely controversial and divisive referendum, the actions of the authorities are viewed with considerable mistrust by a sizeable segment of the population,” Zeid said. He noted that a significant number of opposition politicians and others calling for a ‘No’ vote have been targeted for arbitrary arrests and detention by security forces, sometimes with the assistance of the notorious Imbonerakure group which supports the Government.